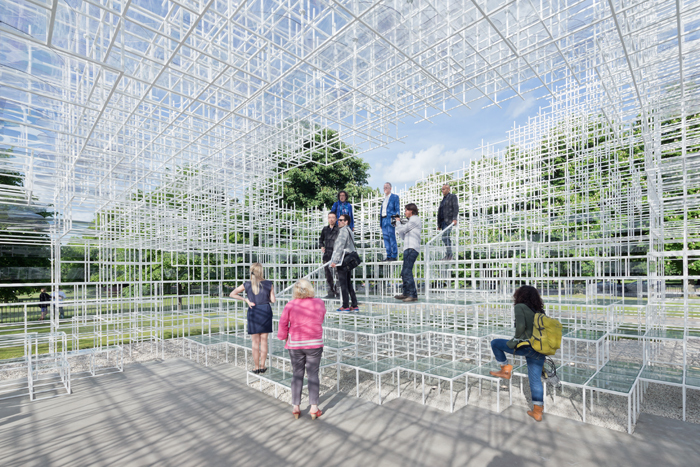 The Serpentine Gallery Pavilion 2013 in London is designed by multi award-winning Japanese architect Sou Fujimoto. 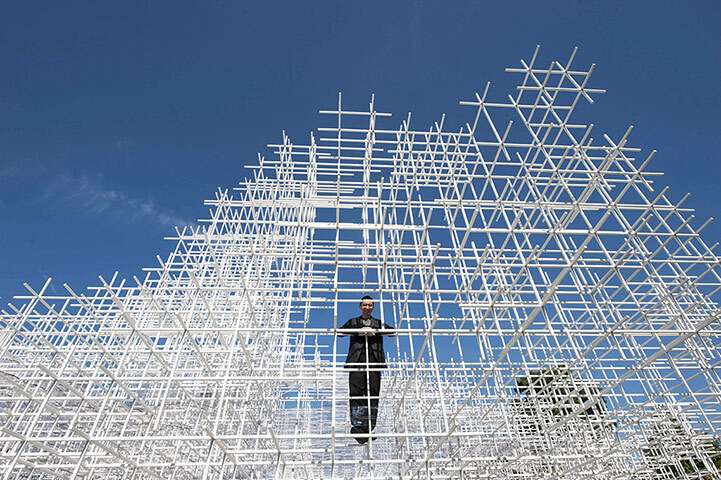 Sou Fujimoto is the thirteenth and, at 41, youngest architect to accept the invitation to design a temporary structure for the Serpentine Gallery. The most ambitious architectural programme of its kind worldwide, the Serpentine's annual Pavilion commission is one of the most anticipated events on the cultural calendar. Past Pavilions have included designs by Herzog & de Meuron and Ai Weiwei (2012), Frank Gehry (2008), the late Oscar Niemeyer (2003) and Zaha Hadid, who designed the inaugural structure in 2000. 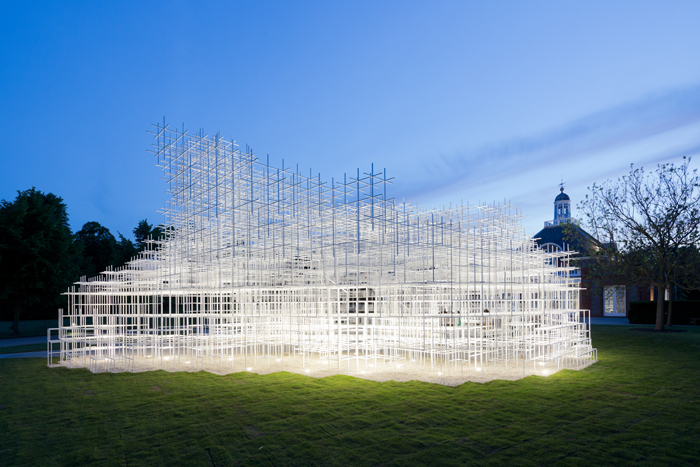 Widely acknowledged as one of the most important architects coming to prominence worldwide, Sou Fujimoto is the leading light of an exciting generation of artists who are re-inventing our relationship with the built environment. Inspired by organic structures, such as the forest, the nest and the cave, Fujimoto's signature buildings inhabit a space between nature and artificiality. Fujimoto has completed the majority of his buildings in Japan, with commissions ranging from the domestic, such as Final Wooden House, T House and House N, to the institutional, such as the Musashino Art Museum and Library at Musashino Art University. 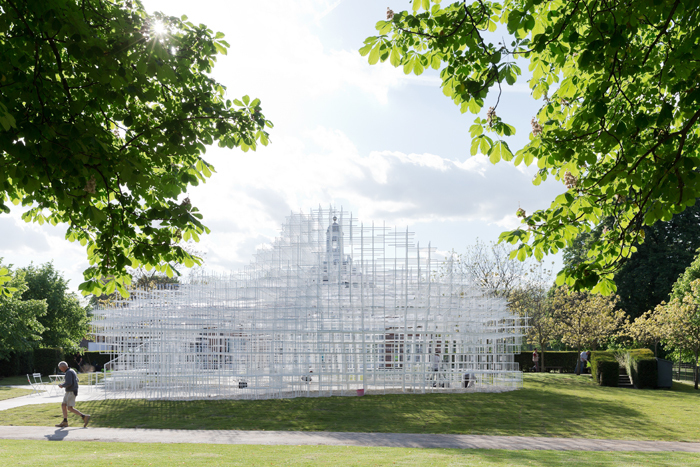 Occupying some 350 square-metres of lawn in front of the Serpentine Gallery, Sou Fujimoto's delicate, latticed structure of 20mm steel poles will have a lightweight and semi-transparent appearance that will allow it to blend, cloud-like, into the landscape and against the classical backdrop of the Gallery's colonnaded East wing. Designed as a flexible, multi-purpose social space - with a café sited inside - visitors will be encouraged to enter and interact with the Pavilion in different ways throughout its four-month tenure in London's Kensington Gardens. 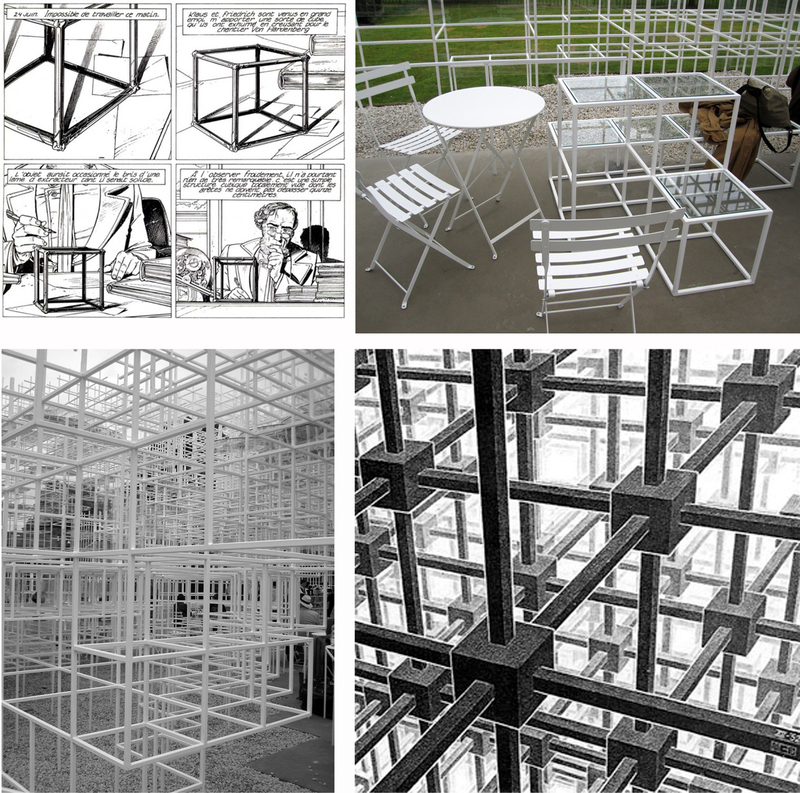 Mania Oikonomou was the first who found out that Sou Fujimoto is not only inspired organic structures, such as the forest, the nest and the cave but showed that the structure looks a lot to the Reseau that happened to Urbicande.